Annapolis Cruisair – Making your boating comfortable! Why purchase from a non servicing internet store??? When you purchase from Annapolis Cruisair you get certified factory trained help so when issues arrise we can lend a hand! For all your marine air-conditioning and refrigeration sales and service! Since 1961, Annapolis Cruisair has maintained award winning sales and service! In the early days, Marvin used a small seaplane to cover his servicing area. At first this area was wherever he could fly. Jeremy says, "This is how he got the name Midnight Marvin." If service was needed, Marvin would get there. Often he would fly hundreds of miles in order to service multiple customers a day. That last customer might be awakened by the sound of Midnight Marvin in his Cessna 260 pontoon plane taxiing in to the rescue late in the evening. Marvin has received the Cruisair Lifetime Achievement Award, and Annapolis Cruisair gets the Cruisair Outstanding Service Award every year at the factory school. Denny and Bryan are expert Cruisair and Sentry service technicians who have been around these products their entire lives. They provide a timely mobile service to the immediate Annapolis area. But in the big picture, the company serves in the capacity of the Cruisair family network "go to" point for 50 other dealers in Maryland and the surrounding areas. Debbie directs customers to the most convenient dealer available when a call comes in for after-market sales or service. Keeping the Cruisair customer happy is a priority. "A quick referral to a reliable dealer goes a long way for our reputation," says Debbie. The other factor in the company's success is that Debbie also has the knowledge and experience to assist her dealers and customers in determining what parts to order and maintain. When Cruisair marine air conditioning was developed in the early 1960s, they had just a handful of dealers to install and service these revolutionary products. Annapolis Cruisair was one of them. Founded by Marvin Marshall in 1961, it still carries the flag today with the third generation of Cruisair quality service in Annapolis, Maryland. 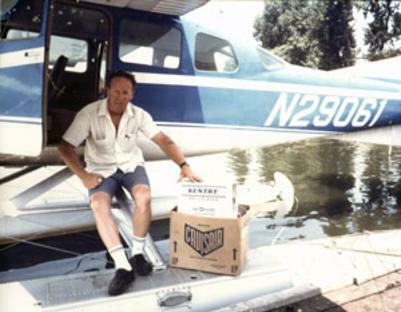 Throughout the year, the second Cruisair generation, Debbie, Denny, Betty, Bryan Marshall, and Marvin's granddaughter Nicole, and Matthew Marvin's grandson conduct the particulars of the business. Annapolis Cruisair services boats throughout the Chesapeake Bay area of Maryland including Anne Arundel County, Baltimore County, Charles County, Queen Annes and Talbot County on Maryland's Eastern Shore. VISIT OUR ONLINE STORE BELOW!